It seems that there is no one who has not received the news that Tai Chi is important for health. The Taoist Tai Chi Society for instance went from being martially oriented at its inception to a total health orientation. I was one of the earliest members in Buffalo and so I know this from experience. Yet, former teachers of the Taoist Tai Chi state unequivocally that most who enter their doors will stop. I have had my own share of drop outs and one begins to wonder if the best way to get more people to do Classical Tai Chi is to tout the health benefits after all. What makes an individual committed to Tai Chi? How much of a motivation are all the health claims of Tai Chi? When it comes to exercise, (and let's face it, Tai Chi falls into the larger overall "exercise" group whether we afficionados like to admit it or not), lots of folks react adversely to even the thought of exercise. Researchers have even pointed out that some forms of exercise are bad for cardio health. My wife's Uncle recently had a heart attack after running a marathon and has been a runner for 25 years. Don't you just feel this just makes you the best excuse not to run? On the other hand isn't that just an assumption that you are motivated by concern for your health from the very start? My M.D. who is originally from Shanghai, used to tell anyone and everyone who would listen: "Jim does Tai Chi, Jim does Tai Chi". He never had to tell me as I heard him tell others: "You need to do some better things to improve your health". I have no doubt that statement could motivate some patients. The motivation undoubtedly wears off after awhile. People don't feel things like bones, hormones and blood pressure making a change for the better. My wife along with her friends will tell you they go to the lady's fitness factory to lose weight. My wife is a diehard for she tells me there are many more who had the same (what are really hard to see) goals that quit. She states that most say they "are busy with other things", "don't have the time", "too tired after work". Some will also never say "I just lost interest". I have looked and looked for good research as to why people keep doing Tai Chi and have not found it. 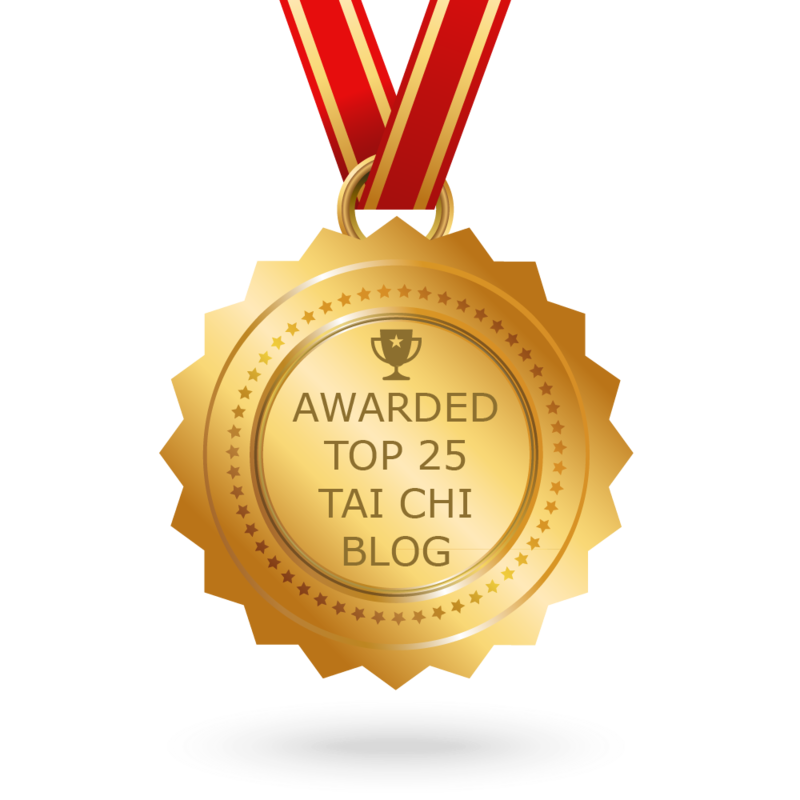 There is certainly no research whatsoever on why people keep doing Classical Tai Chi. I would bet however, that people derive pleasure from doing it, like me, they feel energized afterward. My mood is improved and the hard to put your finger on "restlessness" (because I have not done Tai Chi yet)is gone. I doubt there is no way one can "will" themselves to have these reactions. I wonder if some of us aren't pre-programmed to make these choices to do things that are good for us and keep doing them. Like my wife's Uncle for instance who has stopped marathons and gone to an exercise bike only temporarily. If you ask him he will tell you that the act of moving simply makes him feel good. But he'll also state that it does not bring the same "high" that that a marathon brings. So one has to assume that exercise has to be mind bending difficult for some to feel good. So were those diehards initially motivated by the idea of improving their hearts, etc.? Is a long distance runner (and I've encountered a few) motivated to do Classical Tai Chi by the idea of improving their cardio? The Uncle keeps running even though the Doctors told him to stop and they know that he won't, and he has not. In talks with him, he seems to identify himself with running. I played basketball at a very high level in school and in the armed service. 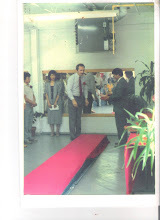 If you asked me at that time, I would have said that I enjoyed the competition and loved to win games. I lost all interest in the sport after leaving the service and I know I was depressed because I knew I was not going to compete at that level ever again. I struggled with finding ways to motivate myself once again. Nowdays, I do Classical Tai Chi and take very long walks with our 2 dogs. My schedule for Classical Tai Chi is quite extensive for exercise purposes because I include the days that I teach as well as the days that I do it for myself. I have to think that my motivation has changed considerably from my younger days. I desire to "stay in the springtime of my life as I grow older". On the other hand, I get a great deal of pleasure from doing the Tai Chi, it is very challenging, I keep finding ways to challenge myself with it and to challenge my students, and I feel it is extremely important to my sense of well-being. I feel like my day is not complete unless I do Tai Chi. So I begin to wonder, is the best thing to encourage people to do Classical Tai Chi by telling them it is good for their health? I have a top Cancer research scientist as a student. I wonder how she would react if the Tai Chi affected her adversely, would she be deterred from continuing? Perhaps I'll ask her one day. What would it mean to her for instance if the Tai Chi made her blood pressure rise instead of fall? She does not appear to be as enamored of it as I do, so perhaps I would be the one who would say: "I don't care if blood pressure rises a few points, I'm going to keep doing Classical Tai Chi because it feels good, pure and simple". A student recently told me that he was somewhat surprised at the statement in the Tai Chi Classics from Wu Chien Chuan : “The failure of drooping the buttocks is a hindrance to the loosening of one's waist". See: Wu Chien Chuan's Six Essential Points: Point III on Tucking or Drooping the Buttocks . I think he was surprised that the drooping or tucking as it is most often called is so directly related to “loosening”. Wu is referring to the lumbar vertebrae or as it is sometimes called "the tailbone" and it normally protrudes near the sacrum. It is also a "junction" which acts as a Yin/Yang junction. One can say the junction defines vertical and horizontal between vertebrae and sacrum and has its own particular/normal angle of protrusion from such vertical. When one bends their legs however, the tailbone should also "normally" begin to reposition itself from its protruding angle and toward a more vertical position. In such movement, the curve of the tailbone allows it to "tuck" under the sacrum. One only has to duplicate the act of standing and bending the knees to feel this. This can be duplicated without forcibly jamming under the tailbone as though one were aiming to cement it into position and hold it there. Unfortunately, there is much misunderstanding about this both from students and the uninitiated who tend to think it has to be forced and held, thus resulting in undesirable and detrimental body positions. This is also where it is important to remember to "suspend the head as though held from above by a string" and tuck the chin under...gently One's chest or thoracic vertebrae is not to be pushed outward in order to accomplish this. In doing so, one can feel quite a dynamic but pleasant stretch of the spine and para-spinal musculature both up and down the back. One also feels a stretch up the front and side of the torso as the rib cage feels as though it is "opening", for that is indeed what it is doing. In allowing the "buttocks to droop" one can begin to feel the response of a pull of gravity from the earth. After all you are literally "dropping" something and it is quite natural for gravity to mazimize its influence. The body above this area has its own natural response which is the "opposing force". It should reflexively, repeat "reflexively", all conditions being equal, stretch up in response to the pull of gravity on the sacrum. When these conditions are met, true “loosening” means cultivating the ability to actually turn the waist and not the rib cage/thoracic vertebrae, shoulders/arms; we mean the actual waist beneath the belly button. This is a twisting or turning of the lower or lumbar vertebrae wherein the belly button actually moves in horizontal/left and right directions. It is recommended by this teacher, and well documented and video by Master Stephen Hwa that students begin to experience this by sitting down. Why sitting down? Well, for one thing the hips become stationary so there is no turning of the hips that can occur. What does the twist comprise? The twist should comprise a turning of the core around the lumbar vertebrae from sternum down to pelvic bone. As we have previously stated in the blog about anterior vs. posterior tucking what is considered “normal” standing keeps an “s” curve in the lumbar region of the back. This type of standing which is the darling anatomical pose of so many anatomy books and super model photographs, actually keeps a great deal of tension in the abdomen and small of the back. In fact while standing in the “s” curve, I observe most even lock their knees. In this position one can feel consistent pressure in the heels and ankles. These are quite small bone structures that are really not designed to carry and support one’s weight. That is opposed to the superior weight bearing capabilities of the long bones of the legs and quadriceps muscles. Now we must further understand the reasoning and method of “drooping” or “tucking” in the buttocks. This is further explained by Master Hwa as he has used an important term by stating that “energizing” the waist is really the key. “Energizing is a selective utilization of certain muscles for certain functions. Energizing has the character of agility, a sudden surge and ebb and is not static. Even the “tuck in” should be fluid in nature. Even if one is fully tucked in, one should still have suppleness or (SOONG). The problem of not “loosening” seems to occur most often when students use the rectus abdominus (front of abdomen) muscle which pulls the belly backward. Then they attempt to engage the external and internal oblique muscles and also use the transverse abdominal muscles to turn the waist. Inevitably beginners find that they cannot turn the waist fluidly because all the muscles in that area remain tight. What they need to do is called by different terms such as open the back, droop the buttocks, lower the tailbone but most of all straighten the back and fluidly straighten the “s” curve. I say fluidly because this is a dynamic function not a static one, the “s” curve, straightens, then returns, straightens, then returns. A simple image to keep in mind might be the action of very flexible spring such as a ‘Slinky” toy. The Slinky has the ability to not only flex at any point but to lengthen and contract. In this regard a simple lengthening of the back can be understood as a straight forward lengthening of the device. Drooping or tucking as a lengthening and subsequent flexion or “J” curve at the very tail end of the slinky. A full tuck or full drooping of the buttocks is well within the capabilities of any student but an understanding of how to use it also comes with experience. One might say as we have said before, it is “dynamic” which also comprises “selective utilization” of muscles. A student progresses in overall understanding of such “selective utilization of certain muscles” largely via the feedback of body sensation. A student progresses in overall understanding through the experience of doing this. A student progresses in overall understanding hopefully through early realization that a teacher applies rigor to teaching methodology for many reasons. Not the least of which is how set in their physical and mental ways and how un-responsive to change the majority of students can naturally be. After all, we have formed habits over the course of a lifetime but we expect to ditch them in a series of "Introductory Tai Chi lessons"? Not so much of a surprise if one thinks of how much the core muscles are in located in such proximity to each other and how difficult it is to specifically isolate individual muscles. Also not so much of a surprise if one has come to a visceral understanding of the sensations one experiences when one is energizing the rectus abdominus muscles to pullback or sitback the body. Master Hwa has previously stated that the rectus abdominus and external/internal oblique muscles are next to each other in the same region. In terms of sensation this means that one can receive muscle signals that seem mixed. 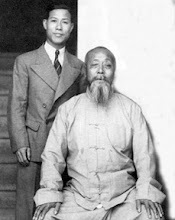 However with an eye to eliminating both mental and indiscriminate muscle tension a student learns as Master Hwa states: to mentally and physically “sharpen the yin-yang differentiation in any movement so that only the necessary muscle is energized while the rest of the body is relaxed”.